There’s no arguing the fact that everyone wants to rank higher on Google because it is the ultimate and practically the most convenient way to reach your worldwide target audience by driving organic traffic to your website. As a result, many website owners tend to look for tricks and tactics to get on the first page of Google and achieve desired results. However, not all the tactics are worth your time and efforts. The truth is if you don’t utilize the right strategies, you might sabotage your website rankings forever. Google is strictly against the use of unethical ways of improving better rankings and can even penalize your website for using these methods. In the past, Google has penalized hundreds of websites which despite having a lower authority were having good search engine rankings. It means that it is extremely crucial that you utilize the right strategies and follow ethical approach as it will not only help you rank in the top but also sustain those good rankings for longer. 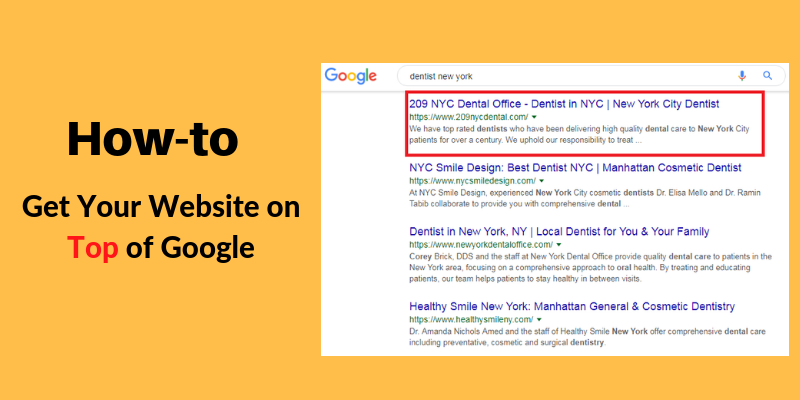 So, if you also have been struggling to find the answer to the question, “how to get your website on the top of Google”, continue reading. The following guide will help you rank your web pages in the top results. Note: It is worth checking out whether your website compliances with Google’s guidelines or not. To do so, use a tool like SEMRush Audit tool, ScreemingFrog, DeepCrawl. These online tools give you a deep insight into the website’s performance and list out all the technical issues that need to be plucked out immediately. How to Check Your Current Rankings? Before starting with the guide, it’s important to identify your current search engine rankings. It helps you set a target and carve the right path to achieve that target. There are a plethora of online tools which you can use to check the current website rankings. Some of these tools include SEMRush, ProRankChecker, and Rank Tracker. While all these tools are quite handly, SEMRush does an impressive job and surpasses the other two when it comes to accuracy. SEO analysts, across the globe, recommend SEMRush over other tools due to its highly accurate results. You can easily check the rankings of your web pages for the target keywords. Simply type in the domain name in the main search bar of SEMRush and click on the organic research tab in the left sidebar. How to Check Rankings in Specific Locations? In many cases, businesses only want to target their local audience. So, it is crucial to pay attention to the local rankings too. 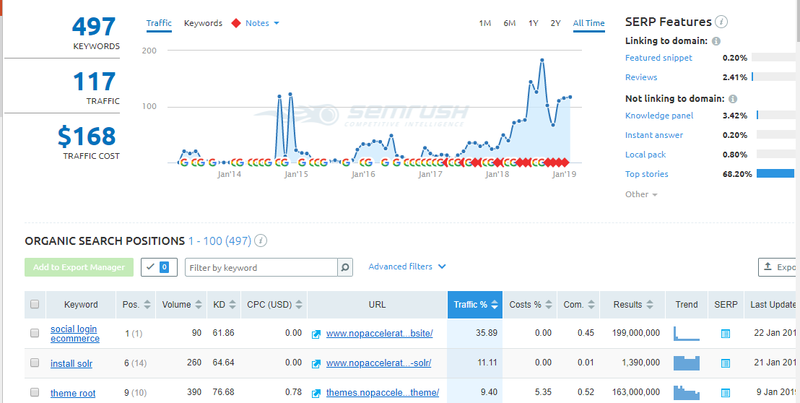 You can again use SEMRush to where you are rankings for a target keyword in your locality. This feature of SEMRush is quite handy, especially for people who own a local business like property consultant firms and restaurants. What Does a High-Quality Web Page Should Have? The quality of the web pages has a huge impact on the search engine rankings. A high-quality web page is more likely to rank higher than a low-quality web page. So, here are some of the characteristics of a high-quality web page. High-Quality Informative and Valuable Content. Precisely Placed Ads so that the user experience is not ruined. Optimized 404 Pages (if any). Precise Use of Keywords in Main Content as well Headlines. Speaking of characteristics that a high-quality web page should exhibit, it is also worth paying attention to some of the low-quality characteristics, which damage search engine rankings and should be avoided at any cost. Here are some of the low quality signals that Google looks for in web pages. Low quality Content like copied and grammatically incorrect content. Even though these aren’t the only negative aspects of a web page, which sabotage search engine rankings, they need to be avoided. How to Get on First Page of Google? Now, that you’re familiar with characteristics of a high-quality web page, let’s take a look at the methods which you can implement to improve your search engine rankings and rank #1 on Google. Shortening the URL has a variety of advantages. However, it is not essential that you should always shorten the URLs for every web page on your website. While many people have this misconception, optimizing URLs has nothing to do with reducing their length. It simply means tweaking the URL is such a way that it is easier for the search engine to index it. So, optimizing involves everything, starting from precisely inserting keywords to avoiding unnecessary symbols. This will make it a lot easier for Google to index your web pages. Furthermore, it is also worth paying attention to the extension of the URL. If you already haven’t bought a domain name, make sure to choose the right extension while buying it. For instance, if you’re a local business, serving only in Australia, it is better to pick a .com.au website. Apart from making your website location-specific, choosing a local domain will reduce the competition level too. The Meta Title is the reference to your web page. It helps the search engine identify what the web page is all about. So, it is crucial that you have scribbled down the most accurate meta titles that describe your web page the best. But that doesn’t mean that you should write lengthy meta titles. Keeping the title concise and specific is the only key to optimize the meta title for Google. If you have written lengthy meta titles, Google will cut the last portion of it, which sabotages the user-experience. Furthermore, it is also not important that the meta titles should be the same as the H1 tags. They can differ from each other. In fact, if your CMS (like WordPress) gives you the freedom, make sure to write a different and unique Meta title for every page. As far as the length is considered, keep the title length anywhere between 30-65 characters, and you’ll be good to go. However, another thing that must remember, while writing the keywords, is to insert your target keyword in the meta title. Precisely placing the keyword in the title is likely to boost up your web page rankings. Even though the meta description does not appear anywhere on the web page, it can have a huge impact on its search engine rankings. These descriptions give the search engine a brief idea, what the web page is talking about. Like the Meta title, you would want to keep the meta descriptions concise and highly specific. However, you can keep the description length up to 150-170 characters. Earlier it was Ok to even write 200-230 characters in the description, Google no longer encourages such lengthy meta descriptions. So, make sure that the description length does not surpass the ‘170’ benchmark. The meta description is the part where you can insert the target keyword most efficiently. So, make sure that the description has the target keywords or some sort of synonyms that closely relate to the target keyword. Adding a dedicated CTA (Call-to-Action), like ‘Click Here’, to the description is also considered as a good SEO practice to optimize the meta description of the web pages. It is important that each web page on your website has an exclusive meta description. If you use duplicate content in the meta description, i.e., using the same description for two or more web pages, you’re likely to affect the search engine rankings. In such cases, Google will decide which web page to rank, and you don’t want Google to do that. The H1 tag is another crucial SEO factors that help you improve the`search engine rankings of your web pages. This is the main title of the web page and it is always recommended to have only one H1 tag for one web page. The H1 tag tells the user as well as the search engine what to expect from the web page. However, if you do not give your web page the H1 tag on your own, Google will do it, which is again that you should avoid at any cost. Write down the H1 tag on your own and make it extremely specific so that it becomes easier for both the customer and the user to identify a brief content of the web page. Furthermore, there are a variety of H tags like H2, H3, H4… which are as important as the H1 tag. Always make sure that you are using these tags in the descending order and maintaining a hierarchical form throughout the entire web page. Start with one H1 tag and use H2 tag for other headings. H3 should be used to give sub-headings (if any) on a web page. Maintaining a hierarchical order of the Heading tags will increase the website rankings and will also improve the readability of the content. Having the H1 tag is extremely important. Skipping it can damage the search engine rankings in a big way. While crawling a web page, the search spiders pay attention to the words written in the H1 tag to find its relevance with the content. So, make sure to make the main heading as accurate as possible. Inserting the right keywords in your content and still one of the recommended SEO practices to improve your search engine rankings. However, you would not want to stuff your content with the keywords and damage the content credibility. Keywords can be of two types, long tail keywords, and short tail keywords. An example of short tail keywords can be “running shoes”. Now if you only target “running shoes” in your web pages, you’re less likely to achieve better rankings, mainly due to the large competition. Short tail keywords are extremely competitive and therefore, ranking for them is quite strenuous. This is when long-tail keywords come into the picture. These are the extended versions of short-tail keywords and are extremely specific. Unlike short-tail keywords, it is easy to rank for long-tail keywords due to less competition. So, the long-tail keyword for “running shoes” could be “buy running shoes online” or “best running shoes for men”. As you can see, in both the cases, the keywords clarifies the user intent, and therefore it becomes way easier for the search engine to display highly specific search results. If a person wants to buy running shoes, Google will display a list of merchants selling shoes. On the other hand, if a person wants to check out the best running shoes for men, Google will filter out the results to display stores that sell running shoes for men. It means that infusing long-tail keywords in your content makes it easier for the search engine to rank your web pages for certain user-queries. Along with long-tail keywords, you should also use LSI (Latent Semantic Indexing) keywords in your web pages. LSI keywords are the words or phrases which are related to your target keyword and help the search engine understand overall context of your content. For instance, the word Apple can mean two different things, the fruit, and the billion-dollar company. So, if your web page contains words such as “iPhone” and “MacBook”, Google will understand that you’re talking about Apple, the company, and not the fruit. While infusing keywords into your content, make sure to maintain a natural flow of the content. As soon as you are sprinkling these words and phrases naturally into your content, without damaging the content quality, it would be a lot easier for you to achieve better search engine rankings. Adding alt tags to every image on your website is extremely crucial. These alt tags tell the search engine what a particular image is about. Alt tags are an important part of on-page optimization as they are displayed if an image fails to load. This way the user still know the context of the image, even if it fails to load. Furthermore, make sure that the alt tags have some sort of relation to the target keyword phrase. This will make the images search engine friendly, which eventually leads to better search engine rankings. Alt tags make your website more user-friendly too. They are helpful in helping visually impaired people, who use readers to browse a website, understand the context of an image. Internal links have a huge impact on improving your search engine rankings. Anyone who knows how to get your website to the top of Google will recommend using internal linking. Internal links are the links that point to other web pages on a website. Here’s why internal linking is important to achieve better search engine rankings. They help users to navigate through the website. They maintain a proper link juice. They establish a hierarchy on your website. Any user, reading a blog on your website, is likely to click on the links to understand things in a better way. So, the stronger the internal linking is on your website, more time would a user spend on your website, which again boosts up the rankings of the web page. Moreover, internal links are an important factor as they maintain a proper hierarchy on your website. When Google bots crawl your website, they try to find relations between different web page to find co-related content. These bots usually follow the internal links on your website to find relationships between different web pages to understand which web pages have a similar type of content. So, make sure to interlink your web pages with each other as it’ll help the search engine to index and rank them for a specific search query. If you ask any SEO expert how to rank on the first page of Google, he’ll recommend you improving your backlinks profile. External links are as important as internal links. In fact, they have slightly more value than internal links when it comes to improving search engine rankings. However, it is crucial that you link to high-authority websites only. When your backlink profile contains high-authority domains, Google considers your website as an authority domain too. It means that 50 high authority backlinks are way better than hundreds of garbage backlinks. While quality backlinks will improve your search engine rankings, spammy backlinks are a huge threat to the rankings of your web pages and even cause Google to penalize your website. This is the reason it is always recommended to focus on the quality of the backlinks rather than the quantity. Furthermore, quality backlinks help you improve brand reputation too. When a user sees your website linking to an authority domain, he/she is likely to consider you as an influencer too. Here are some of the tips for linking to other websites. Link to influencers in your niche. Link to websites having good domain authority. Link to well-renown domains such as Wikipedia as it helps you improve your domain authority. While linking to other web pages, however, make sure that these links open in a separate tab as you would not want the user to move away from your website. This is one of the biggest mistakes that many people make while linking to other web pages, which should be avoided at any cost. Google has always been in favor of websites which open quickly. Fast websites mean better user-engagement and eventually a lower bounce rate. Think of it like this, a user is more likely to hit the back button if the website is taking forever to load. Studies even suggest that a user only waits for 3-4 seconds for a website to load. If it takes longer than that, the user will click the back button for sure. So, it crucial to optimize the website speed without compromising with the quality at all. Check out the current loading speed of your website using Pingdom. Google uses Page Speed Score to identify the loading speed of every speed. Every website, at the time of indexing, is given a score between 0-100, based on its speed. So, a website having a faster loading speed will have higher page speed score. Basically, if you want your website to rank higher in the search engine, you should keep this score above 85. It means that your website should load within 3 seconds. Here’s how you can optimize the loading speed of your website. The hosting that you choose has a huge impact on the website speed. A good hosting will load files such as images, videos, and other content, quickly from the web server. It means that the website will load at a fast speed too. Another thing that you would want to do is compress the size of every image on your website. Large sized images will take it longer for the web pages to load. However, if you have compressed the images to a smaller size, without degrading the quality, the same web page will load quickly. Adding a sitemap to your website is important as it makes easier for the crawler to crawl your website. As the name implies, a site map is a simple map of your website where all the information about your website is laid out on one single page. They contain all the information about links, web page structures, and how much weight importance should be given to a particular web page. While crawling your website, the crawlers/robots usually look for these sitemaps. If your website doesn’t have a sitemap, it will become quite strenuous for the crawlers to index your web pages. Through a sitemap, you tell the crawlers which web pages are of higher priority and should be ranked first. Most of the platforms like WordPress generate Sitemaps on their own, both .XML and HTML. Both these sitemaps are important and should be generated. While Google uses.XML sitemap to rank a website, Yahoo and Bing still prefer the HTML sitemap. Furthermore, the HTML sitemap is important for readers too as they use it to navigate through your website. In case your website platform doesn’t automatically generate a sitemap, use an online tool like Site Map Generator. This online tool automatically generates the .XML sitemap by analyzing your website. If you want to generate the HTML sitemap for your website, click here. Studies suggest that almost 44% of end-users perform an online search from their mobile itself. It means that the majority of your target audience is likely to access your website from mobile browser too. Therefore, it is imperative that your website is optimized for the mobile so that user can access your website without facing any issue. Having a mobile-friendly website is extremely crucial these days, especially considering the fact Google has already introduced mobile-first indexing, an indexing mechanism where mobile version of the website is prioritized over the desktop version. If your website is not optimized for the mobile, your search engine rankings will take a big hit, both on mobile as well as desktop. You can use Google’s mobile-friendly test to figure out whether your website is mobile-friendly or not. To make your website optimized for the mobile, we recommend opting for responsive design over the traditional website design. Having a responsive design allows your website to dynamically resize as per the screen size and orientation. As a result, the user will have same user-experience, regardless of the device, he’s using to access the website. Off-Page optimization is as imperative as on-page optimization. In fact, you can’t expect to rank higher on Google if you aren’t optimizing your website both on-page and off-page. Off-Page Optimization involves practices that you perform outside your website. It involves everything, starting from link building to social media marketing. Here are some of the off-page optimization techniques which results in better search engine rankings. As we mentioned earlier, high-quality backlinks have a huge significance in improving website rankings. Websites having quality backlinks are most likely to rank top in Google. When your website is linked to authority domains, Google considers your websites high authority too, and ranks it above your competitors, having poor backlink profile. However, the real question is, how to build quality backlinks to your website. Here are some of the effective techniques for leveling up your link building game. Identifying broken links for an high-authority website in your niche and creating content that can replace the broken link is one of the best tactics to improve your backlink profile. The truth is broken links are a threat to every websites and no one likes to have such threat possessing links on their website. So, when you tell a website owner that their website has broken backlinks and provide them with content which is worth replacing the broken links, you have 100% probability of acquiring a new backlink. All you have to is find a high-authority website in your niche and identify their broken backlinks. To identify these broken backlinks, use a tool like Ahrefs broken link checker or Check My Links extension (for Chrome users). Both the tools provide accurate results. However, Ahrefs provides an in-depth insight into the backlink profile of a website. As a result, you’ll have better link opportunities for your website. You can also use Ahrefs’ site explorer tool to find the list of broken links on a particular domain. Simply plug in the domain name into the sire explorer and click on ‘Best by Links’ tab under Pages section. Now, add a filter for web pages returning 404 error. Here is a list of broken backlinks for Backlinko. Skyscraper technique is an effective link building technique, which specially caters to content marketers in a big way. 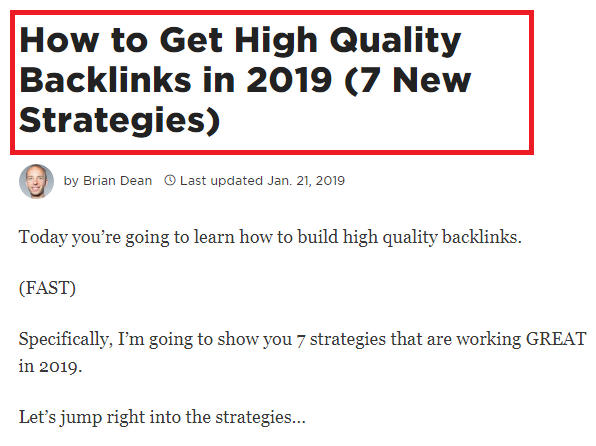 The technique was first introduced by Brian Dean, who ended up skyrocketing the organic traffic to his website through effectively building links. The skyscraper technique involves three major steps. Finding link worthy content in your niche. Crafting a better piece of content with more relevant information. Reaching out to the right people for acquiring more backlinks. If you precisely utilize the technique, you can double the backlink count in no time. However, it is crucial that you create content that provides value to the user and is better than the existing content. There’s no point in creating content which doesn’t have an appealing factor. 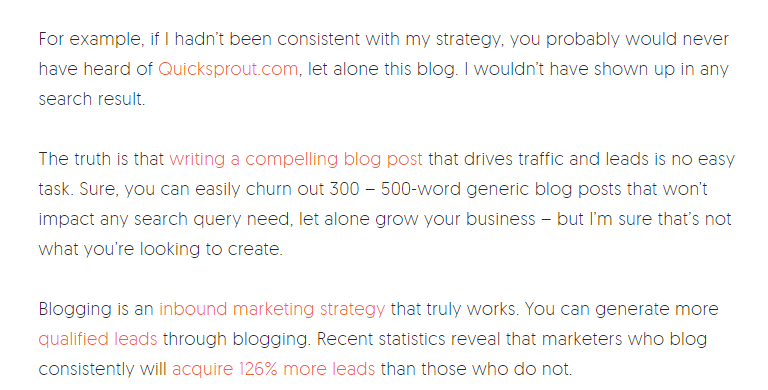 When it comes to acquiring quality backlinks from high-authority domains, nothing is as significant as guest posting. This is probably the most effective link building tactics, which is used by only a fraction of website owners. Most of the people don’t even bother to give it a shot, mainly due to the fact that it is hard to convince someone to publish your content on their website. However, the truth is if you manage to do this, you’ll have ample amount of opportunities for your website to get the desired online exposure and rank on the first page of Google. Quora is a website where apart from acquiring more backlinks to your website, you can reach out to the majority of your target audience. Many users ask questions related to your niche on quora. You can use this opportunity to drop a link to your website by answering these questions. However, make sure that your answer does solve the user query. If your answer seems like a direct promotion, it is likely to be deleted from the website. Like guest posting, blog commenting is an effective link building techniques, which if done precisely, can boost up the search engine rankings of your website. Adding valuable comments on blogs, in your niche, helps you direct traffic to your website and acquire new backlinks at the same time. However, it is imperative that your comments adds a value to the blog itself. You can’t simply write a line of appreciation and drop a link back to your website. You need to make sure that your comment has the potential to be approved by the blogger. Even though social media presence does not impact the search engine rankings, it is still one of the best ways to expose your content to the majority of your target audience. As soon as you publish a new blog post, make sure to share it across your social media profiles, including Facebook, Twitter, Linkedin, and Google+. Furthermore, it also crucial that you share your content when the majority of your audience is active on social media. To do so, you can use a tool like Buffer which gives you the opportunity to schedule the social media posts. Google always has the habit of updating their algorithm to provide users with better search results. It means that the techniques you use today to improve your website’s search engine rankings may not be as effective in upcoming years. Therefore, it is extremely crucial to stay up to date with Google’s algorithm. It’ll help you utilize the most suitable strategies in the most efficient way to always stay on the first page of Google. Why it is Important to Achieve Top Rankings in Google? The reason why it’s important to achieve top rankings in Search Engine Result Page is that it helps you get more organic traffic to your website. Sure you can use paid marketing tools to promote your brand in front of the right audience but organic results always have better conversion rates. Furthermore, a user, after performing a search query, usually clicks on any one of the first three search results. It means that if you aren’t acquiring the first three positions in SERP, the users may never even pay attention to your website.